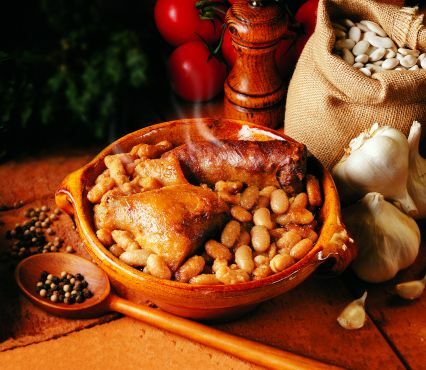 Traditional pork cassoulet prepared by La Belle Chaurienne in Castelnaudary. Tender pieces of pork, charcuterie, Toulouse sausages and lingot beans. Makes a delicious French meal for one person – simply warm up in a saucepan and enjoy! Dietary Information: Gluten free. Nut free. Egg free. Lactose free. Wheat and derivative free. No artificial preservatives or additives. Pork, Toulouse sausages, charcuterie, lingot beans, duck fat, tomatoes, garlic, salt, pepper. Pour your cassoulet into an oven proof dish and heat for 20 minutes at 180c until golden brown on top. If you’re pushed for time you’ll obtain almost as good results by simply warming your cassoulet gently in a saucepan. If you have more time try frying some shallots and a clove of garlic and until golden brown together with some pieces of chorizo and add these to your cassoulet for great results! 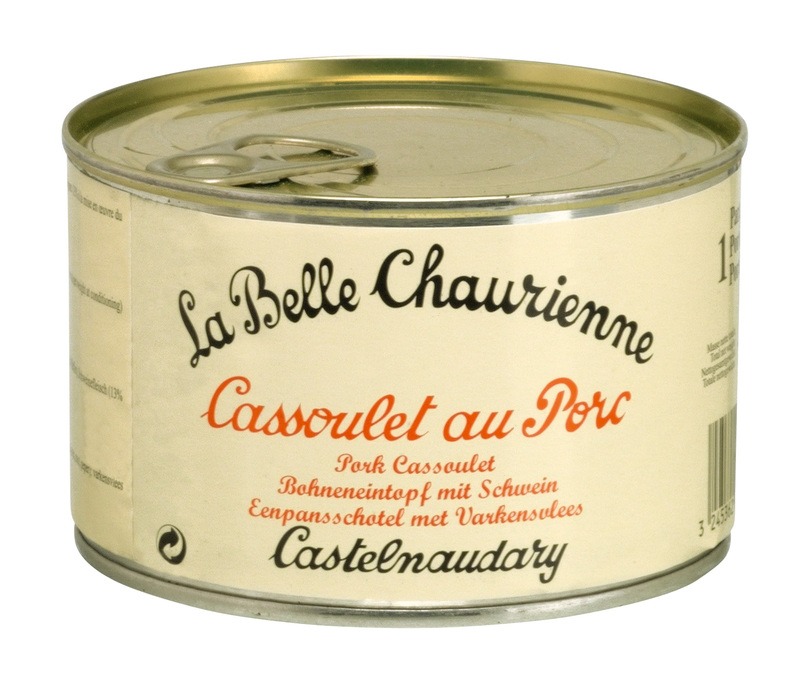 Also you can add 1/4 cup of chicken stock to your cassoulet if you prefer a more open texture.